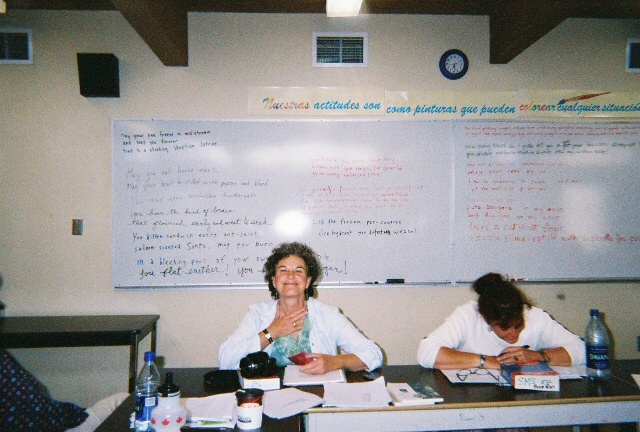 Here are some pictures of some of the Class of '05 Victoria School of Writing Summer School. 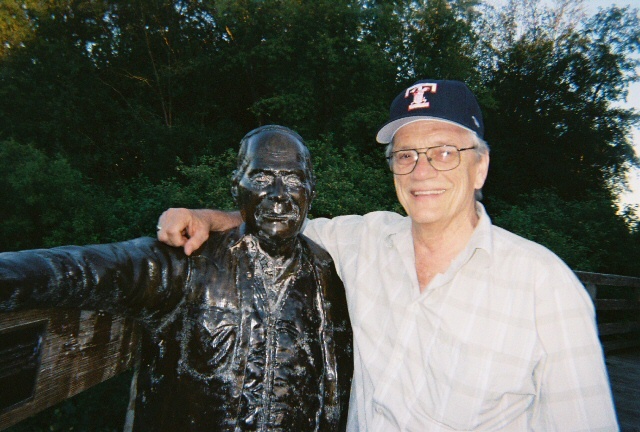 George Bowering was the poetry facilitator. After losing one person after day 1, we settled into quite a sense of community with the first Parliamentary Poet Laureate of Canada. 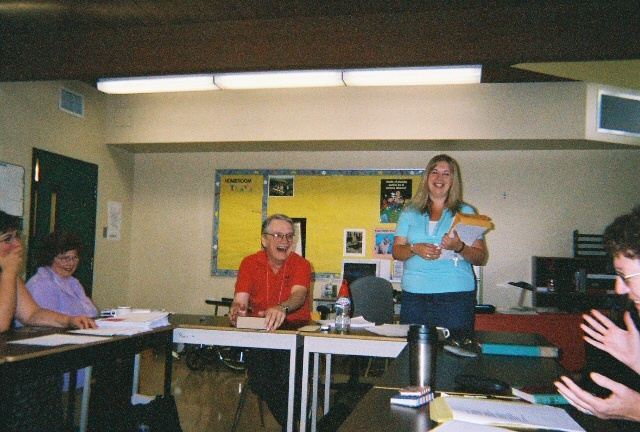 Bill Richardson, a VERY funny man who taught Fiction/Humour/Personal Essay. George with Jill Margo, the Executive Director of the School who made the school run like a top. 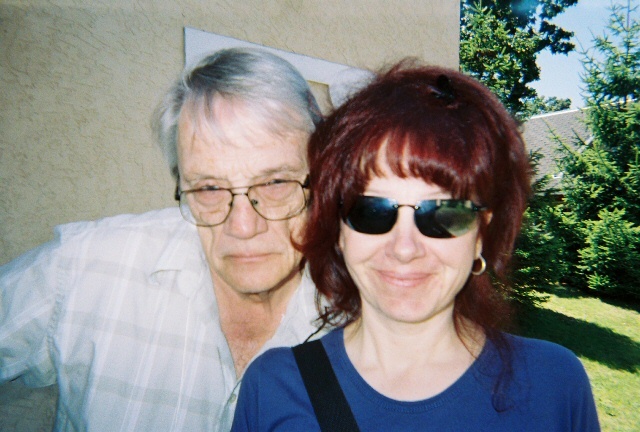 George with Leslie McBain, the (unofficial) Poet Laureate of Pender Island. 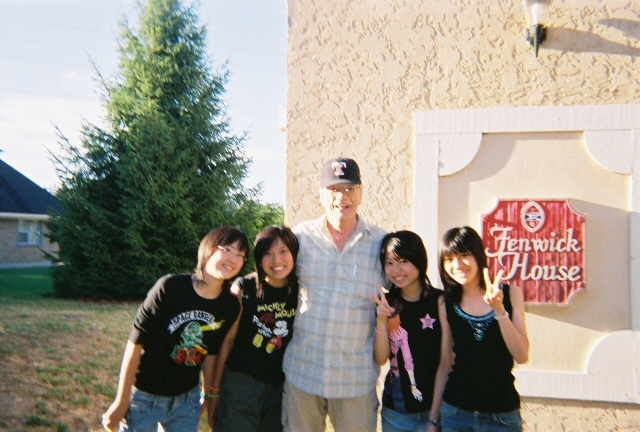 George with some Japanese exchange students. George found the other baseball fan in Victoria. Leslie under the rant we were working on to let off steam at having to hang with prose writers. 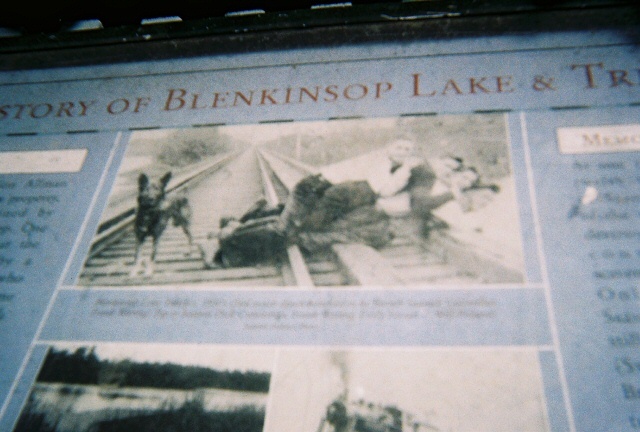 Kim Clark, next to her. 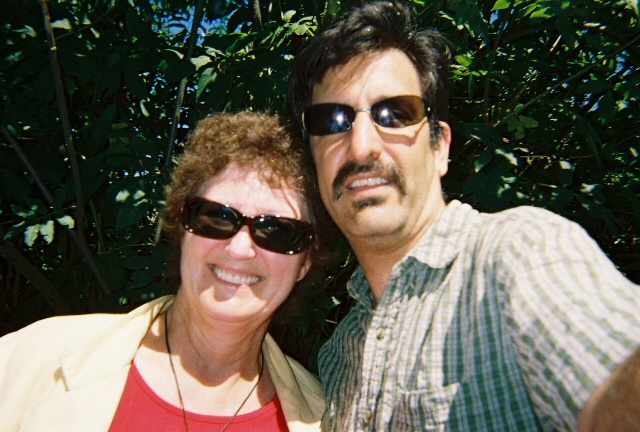 Here I am with Linda Crosfield. I never seem to smile in those "take it yourself" pictures, but I DID center the photo and avoided shooting myself in the thumb. That's worth something, eh? Rhonda G. and Leslie McB. Rose Marie Sackela and George. Rose Marie was the driving force behind the two anthologies created during the week. One on Trains, one on Chickens. Sheri-D Wilson taught spokenword during the week. Here she is supplementing her meager stipend by scratching an unidentified writing school participant with a special implement she brought just for this purpose. 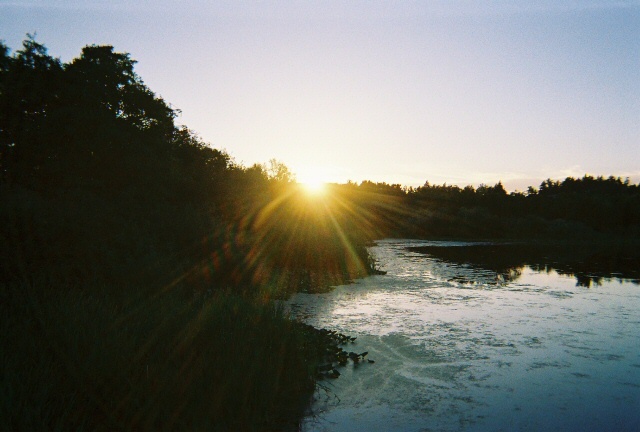 OK, technically not at the summer school, but still on this roll of film, a shot of the White River at sunset near Tahoma. Juan Acosta got this shot of me in need of sunglasses at St. Elmo's Pass, halfway up Tahoma on our August '05 dayhike. Me, with a view down the mountain at the White River near its source.